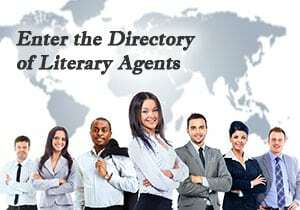 Mark Malatesta is the creator of this query letter website and 15-part training about How to Write a Literary Agent Query Letter. Mark is founder of The Bestselling Author, a company that helps authors of all genres (fiction, nonfiction, and children’s book) write, publish, and market their books. Mark is a former literary agent and the former Marketing & Licensing Manager of a well-known publisher. His authors have been published with major publishing houses around the world like Harper Collins, Thomas Nelson, and Penguin Books, resulting in millions of books sold. During his time as a book agent (President & Owner of “New Brand Agency Group”), Mark Malatesta helped many authors launch their publishing careers under the name Mark “Ryan” (his stepfather’s last name). Mark Malatesta helped his author clients secure book contracts with book publishers like Random House and Simon & Schuster. His authors also had their writing picked up for TV, stage, and feature film with companies like DreamWorks and Paramount Pictures. Authors that Mark represented as a literary agent have gotten 6-figure advances and been on the NY Times bestseller list. They’ve been licensed in more than forty countries. And they’ve won dozens of prestigious national and international awards and honors. During his early years in the publishing industry, Mark Malatesta also served for several years as the Marketing & Licensing Manager of Blue Mountain Arts. That’s the gif and book publisher that invented e-greetings and then sold their e-card division for close to $1 billion at the height of the dot com bubble. While he worked at Blue Mountain Arts, Mark scouted for new talent, helped develop new products, and he negotiated distribution and licensing deals at publishing industry events like Book Expo America (BEA), the London Book Fair, and the Frankfurt Book Fair. Mark Malatesta is a writer as well as a publishing professional–the reason he became a literary agent in the first place. Mark is one of the few publishing professionals that isn’t jaded. He understands and genuinely enjoys working with other authors. Instead of telling authors why they can’t be successful, Mark Malatesta shows them how they can become better writers and make themselves more marketable. Due to his unique blend of passion and publishing expertise, Mark is frequently invited to share his insider secrets at events as a keynote speaker. Mark has read more than 75,000 query letters during his career in publishing and he’s delivered inspiring and empowering talks at some of the most prominent writers’ conferences in the United States and abroad. 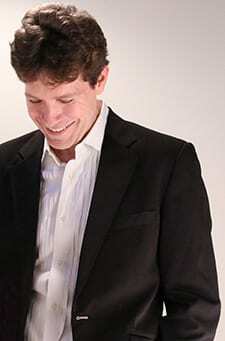 He’s also written feature articles for publications like The Guide to Literary Agents and a column for WritersDigest.com.